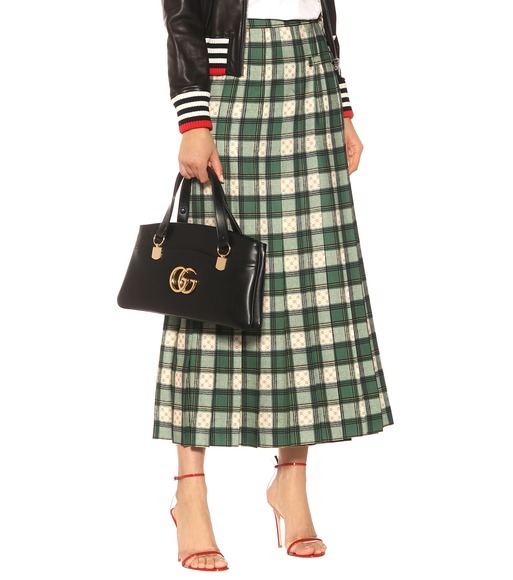 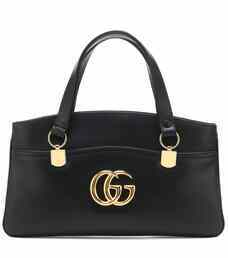 Gucci revives an archival emblem for its Cruise 2019 collection, crafting the Arli tote with '70s-inspired golden Double G hardware. 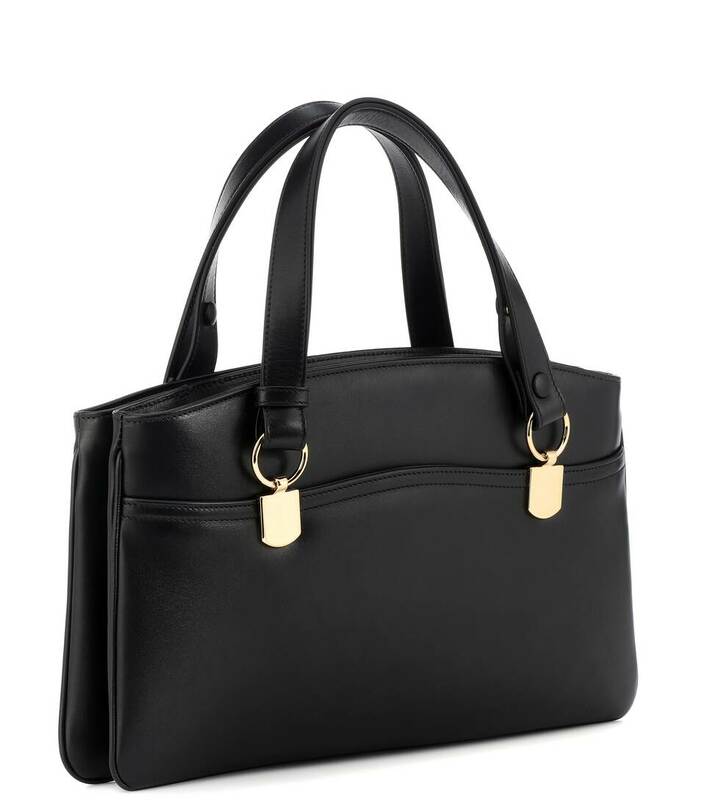 This sleek black leather tote has been made in Italy with dual zipped compartments, gusseted sides, and front and back open pockets. 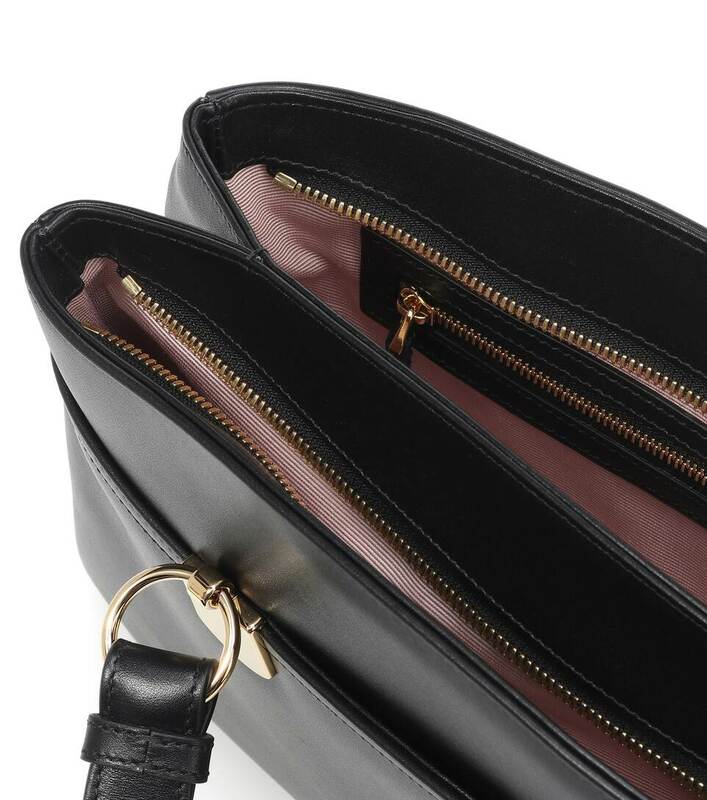 Adjustable top straps heighten the retro feel of this rectangular style, which was presented at the Promenade des Alyscamps in the French town of Arles, giving its name to the new line of handbags.